Imagine my surprise when a few weeks ago, I was invited by Dubai Events & Promotions to visit Dubai last weekend to experience the launch of the 15th edition of the Dubai Summer Surprises event? So, this past weekend Mrs Sythe & I went up to Dubai to make the most of the holiday, tour parts of Dubai we'd never been to before, and see just how much punishment my credit card could take in the sales. The summer event known as Dubai Summer Surprises is in it's 15th year of operation, and kicked off this last weekend on the 14th June and will run until the 14th July. If you happen to have children who are not running away to cooler climes for the summer, there really is quite a lot on to keep the little ones entertained and happy. Obviously, this DSS is not just for kids, it's also for big kids too - lots of sales in the malls and special offers on hotels and spas. 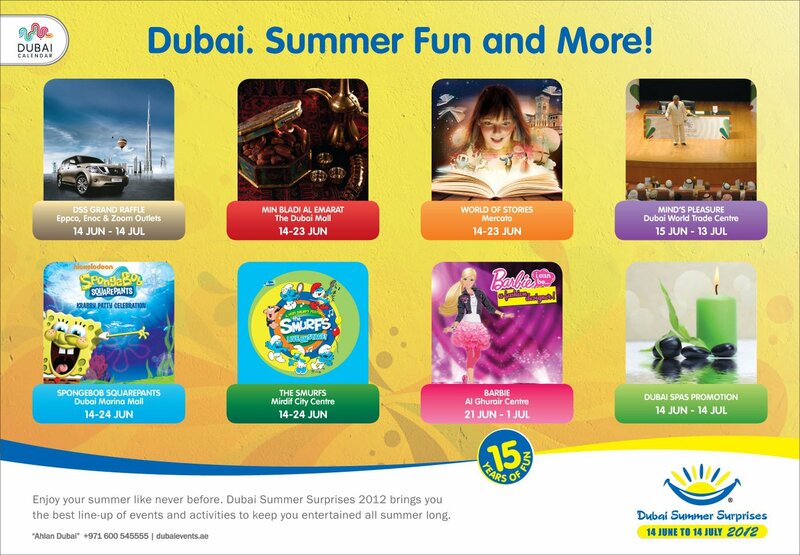 In a nut shell, the Dubai Summer Surprises event consists of: Free kids shows in most of the malls in Dubai (Ice Age 3, Spongebob Squarepants, Barbie, The Smurfs and more..), special promotional prices in hotels all over the city, some incredible deals for some of the many spa's in Dubai. 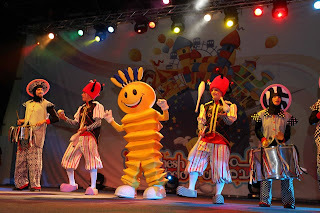 And, of course, the indoor theme park for kids known as Modhesh world. A brief round-up of some of the events in the next month. I went to the launch of Modhesh world on Thursday evening and was impressed by the sheer size of the place. Think of the kids play-area in Muscat City Centre, multiplied by a factor of about 35 and you may be starting to get into the right size of this place. The best bit is the price: it's Dhs 10 to enter (kids under 2 are free) and if you were a kid I'm fairly sure you'd find more than a few things to do that would leave you totally exhausted (a happy parent is one with a sleeping child right)? This years version of Modhesh world runs until August 25th and is situated in the World Trade Centre. Modhesh world is open daily from 10am, except on Fridays where it opens at 2pm - it closes at 10pm except on the weekend or Eid where it closes at midnight. Ramadan timings are 6pm - 1am. I walked around this place for about an hour and still did not see everything that there was to do there, for about $2.65, I think it's exceptional value for money. Now, back to the big kids and their needs. I visited the following malls: Festival City, Mall of the Emirates, Dubai Mall, Mirdiff City Centre, Ibn Battuta Gate, Mercato Mall & Burjuman. Every single mall had shops offering sales - not every single store, but a lot of them. Also, in some malls (for example Mercato) if you spend over a certain amount of money you get an entry into a free prize draw for a car. 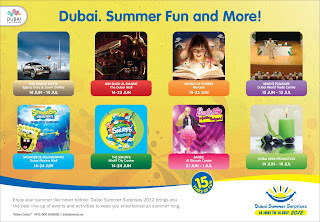 So if you are going up to Dubai for a weekend of shopping, its worth while to know about some of these offers. All in all, it was a fun weekend, I got some killer deals in the sales, had a little visit to a spa (more on that another day) and saw hundreds of kids with the biggest smiles on their faces having a great time. Hopefully I have helped some of you with kids here in the summer months find something fun to do on a weekend. Dubai is, after all, only an hour's plane ride away. @ anonymous - ha ha if you are talking about the great 'Muscat Grand Mall' I think they are closed 24/7!!!! I was thinking Al Araimi, but it actually fits across the whole of Qurum shopping area and further out to most shops everywhere, with the possible exception of Qurm and Muscat City Centre, both Dubai entities!